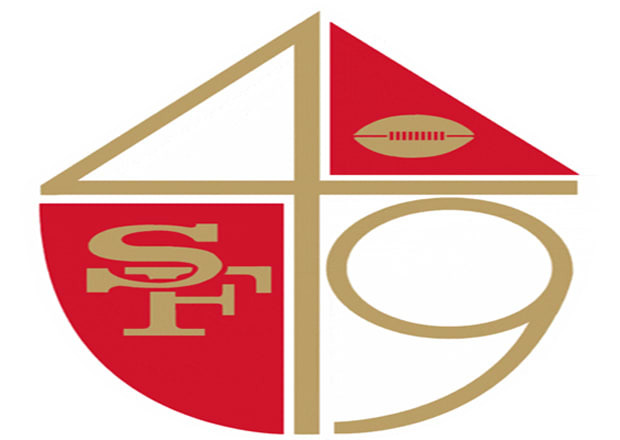 After the Niners retired the drunken shooter as their primary logo they adopted a more subtle image to represent their city's football team. The Gold "SF" and football inside a red and gold "49" shield was a nice touch. These female fans would have appreciated shields during their battle royale against the Oakland Raiders.